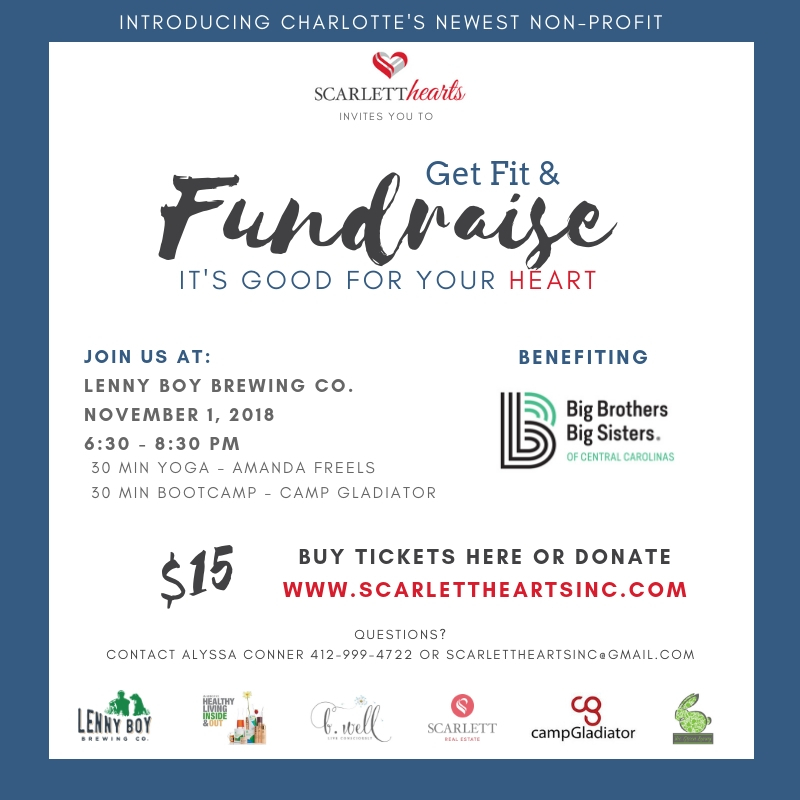 The mission of Scarlett Hearts is to bring hearts of the Charlotte area community together to support local non-profits. Scarlett Hearts brings the community together by hosting various fundraising events throughout the year. From wellness nights and family activities to a fun-filled day on the golf course, Scarlett Hearts hosts events for all members of the community to enjoy. The funds raised through Scarlett Hearts events are donated to local non-profits in the Charlotte area. Prior to January 1st, Scarlett Hearts chooses the non-profits selected to receive funds for the upcoming year.